Is 99% good enough? If you make it through college with the equivalent of a 99% in GPA, then you’d easily make the Dean’s List. 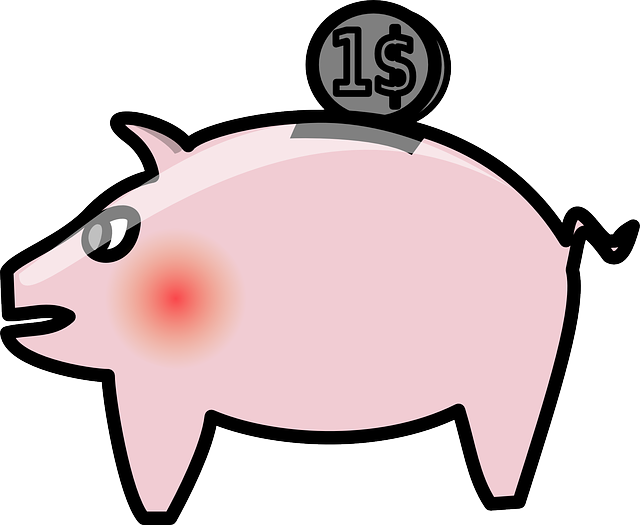 If your credit card is accepted at 99% of all businesses, you’d likely not raise an issue. Even if you eat on only 99% of all days, your health would probably be unaffected. On the other hand, an airline with planes that only make it to their destination safely 99% of the time will likely be shut down by regulators if not sued out of existence. Perfectionism is definitely a ideal trait to have in certain situations like the latter example, but perfect isn’t universally better especially if it comes at great costs. I propose the 99% rule of thumb when deciding whether to pursue a particular task to perfection: if I only strived to achieve 99% perfection instead of 100% perfection, would I be satisfied with the outcome? If the answer is yes, then it may be wiser to guard your time and not pursue 100% perfection. Often, many projects have diminishing returns with respect to the effort you’ve put in. Every time you move 1% closer to perfection, the next 1% requires more time, effort, and/or resources than the previous 1%. For some tasks, achieving the last 1% requires more effort than going from 0% to 99%. If the rewards aren’t commensurate with the disproportionate effort required to clinch the last 1% then you’re pretty much wasting your time pursuing perfection. 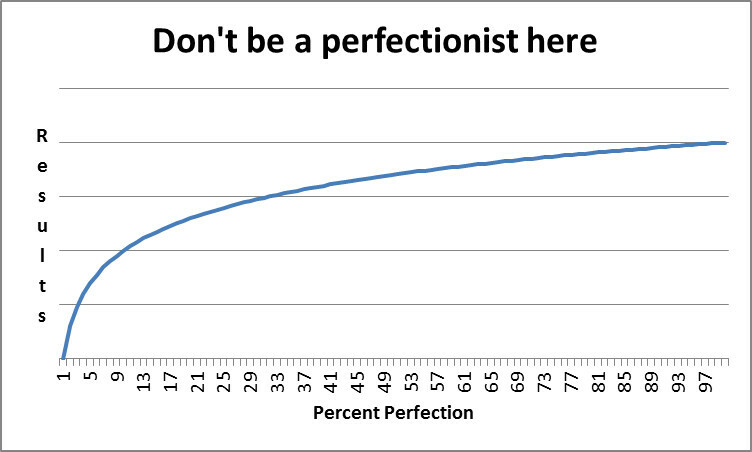 Similarly, the value added by the last 1% of perfection isn’t the same as the 1% of perfection before it. For the airline, the last 1% in the % of flights that don’t crash means everything. For the college student, the last 1% in his/her GPA will likely not make or break his graduation and employment prospects. If 99% is good enough, then your task probably falls in the above regime with diminishing returns with an asymptotic logarithmic curve. But if 99% is still not enough, you’re probably dealing with a regime similar to the graph above. 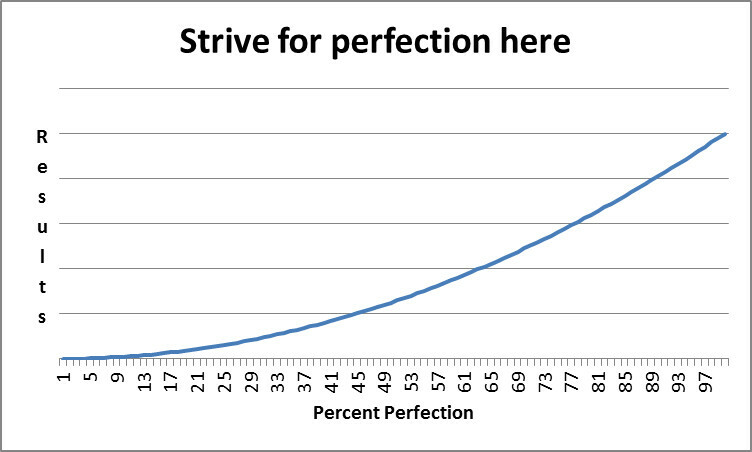 The curve would likely be parabolic or exponential with respect to “perfection”. Not pursuing perfection when you’re perfectly capable of it doesn’t necessarily make you a lazy person or reflect poorly on your work ethic. Our resources including time, money, mental and physical energy, willpower, etc. are all finite. If you go through life blindly chasing perfection, you’ll deplete your resources quickly. 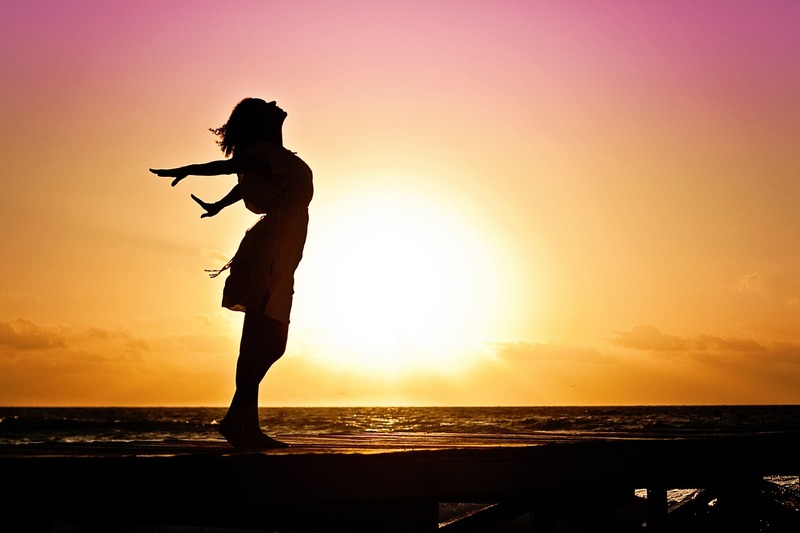 Fortunately, the number of everyday situations where being perfect is important are relatively few so it pays to selectively apply these resources to the situations that demand perfection. Apply the 99% rule whenever you’re overwhelmed: if I achieve 99% instead of 100%, will it matter? If not, then save yourself the energy and effort. If yes, then go the extra mile!